The Agile journey is one that many organisations have started on, with an increasingly widespread adoption of Agile frameworks and processes with varying degrees of success. Some organisations seem to effortlessly and continually build their capabilities whilst many similar initiatives seem to stall or run out of steam before really realising any benefits. Focussing on those organisations that have been successful on their agile journeys, a natural progression of maturity and identifiable steps has emerged. The starting point for every business is different, but often the drive to ‘do agile’ invariably stems from the IT, software or digital departments – areas of a business that are usually staffed with individuals who have experienced working in agile teams previously and are keen to bring that along with them. With these mixed backgrounds and experiences, what many large organisations start to see are disjointed, unplanned pockets of semi-frameworks and processes – ad hoc agile. This can however deliver small improvements in efficiency and uplift engagement within the teams practicing this, and is a good low risk approach to start introducing agile concepts into an organisation. Where this starts to become restrictive however is when some rigour is layered on top and/or the team needs to engage with other teams. 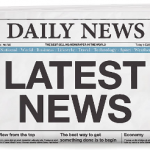 These issues then force the organisation to consider moving up to the next level of maturity. The next capability step on the agile journey is supported by some formal training or certification. There is a growing array of training flavours, but the most common and an easily understandable place to start is certification in Scrum. This is the level where most organisations, who practice agile, tend to operate. This is the comfort zone of the familiar frameworks and processes where countless teams in thousands of organisations aim to practice their sprints, stand-ups, reviews, retrospectives and backlog grooming. Where many organisations struggle at this level is where the agile or Scrum teams are not set up for success – whether that be due to non-dedicated roles, non-conducive environments or a range of other factors that constrain the team – a situation often described as ScrumBut, which we will explore in detail in a future post. Uplifting capability at this level often requires the insights, advice and mentorship of an impartial Agile Coach who can help diagnose and solve any constraints. Once the teams are optimised and running effectively, a subset of larger organisations are then ready to progress. This is where agile tends to get tricky… Many of the early frameworks that evolved over the past 20 years – Scrum in particular – were purposely designed to focus on the team. The role of the Scrum Master evolved to become one where they acted as a shield to protect their team against the vagaries of the wider enterprise. But when it becomes necessary to scale agile processes across multiple teams or across departments there emerged a gap. Over time this gap was filled by a growing set of new and augmented scaled agile frameworks, such as SAFe®, DSDM®, LeSS, Nexus, DAD and other tailored or hybrid approaches designed to tackle scaled agile at the portfolio level. We explore this in more detail in our post on Agile Portfolio Management. 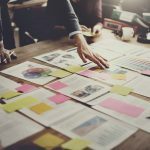 Whilst there are some good examples of organisations that have transitioned to scaled Agile well, there are many others where this has not worked. This is generally attributed to the notion of ‘additive agile’ – where the ‘problem of scaling’ is attempted to be addressed by overlaying a new framework over an existing structure which adds additional complexity. For the more enlightened organisations this is the inflection point where they should consider moving up to the next level of maturity. 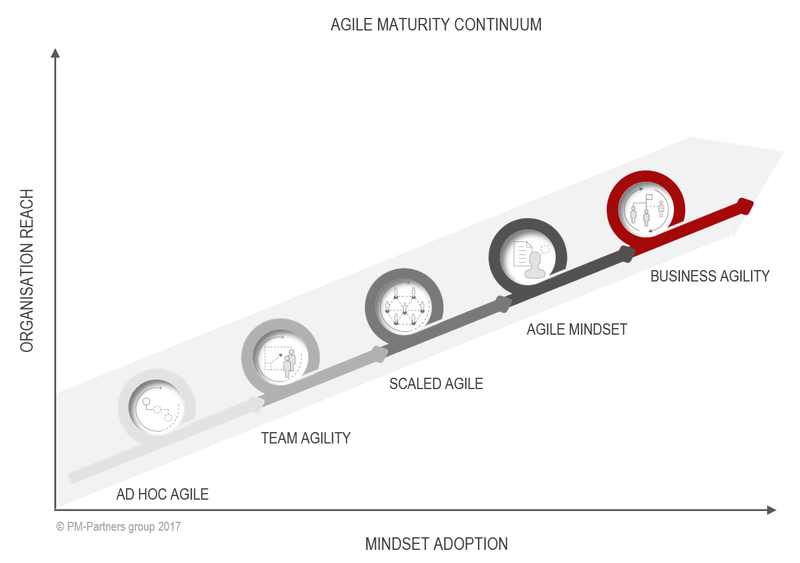 The Agile Mindset is a transitory phase that helps move an organisation away from complex framework-driven structures that over time tend to gravitate back to command and control mechanics to a new paradigm altogether that focuses on value and simplicity. It is predominately a set of change management activities that focuses on people and not on process, and is designed to reframe the way that everyone in the business, from the board down, thinks about the delivery of value in their organisation. 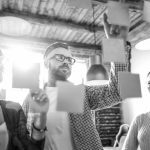 Typically, this would start with some workshops and coaching of the senior leadership team to help them understand why they need to be agile, and not just how they need to do agile. Agile leadership coaches will introduce new ways of thinking about strategic capabilities, agile agnosticism and change the questions being asked. Instead of asking for example how do we practice Agile in our complex environment, ask instead how can we simplify our environment to be more agile? As this is focused on cultural change and not just adding a new framework, this is less tangible and a difficult transition for many organisations, but is a necessary change in thinking to lay the groundwork for the target end phase in the agile journey. Most organisations will not reach this level of maturity. This requires a sustained, enlightened momentum that will, at first, seem counterintuitive and may even see areas of the business fall behind before pushing upwards, as described in the Satir Change Model. But for those organisations that cross that chasm there is that promised land where strategic capabilities meet with a truly agile, collaborative, fail-fast and learning environment to create Business Agility. Put simply, this is the ability of a business to adapt rapidly and cost efficiently to emerging changes, threats and opportunities in their environment. The benefits of having this ability to react and pivot quickly includes faster revenue growth, efficient cost reduction and waste elimination, better management of risks, a more engaged workforce and ultimately the ability to create sustained and growing value for both your customers and employees. It is not an easy journey to make, but for those who do, the benefits of true Business Agility is far greater than the sum of the parts.